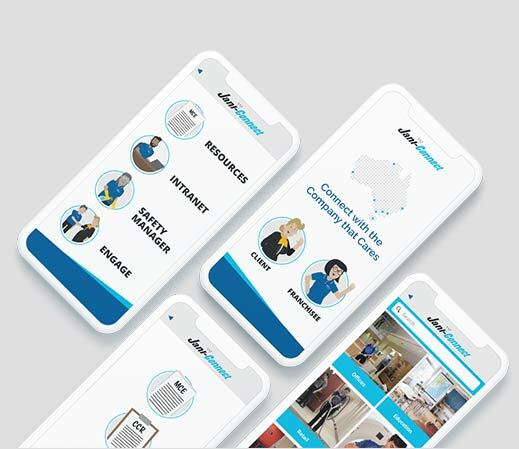 Commercial Cleaning Company | Jani King Australia "The King of Clean"
At Jani-King, we understand that the professional presentation of your business is everything. Your success depends on a clean, hygienic environment that is safe and comfortable for your customers and team. Putting your best foot forward means making a positive impression. Image is a crucial element in your business, but we also know it’s more than that. Productivity gains from a clean workplace add to the company bottom line. And by meeting compliance standards, we help you mitigate risk and take the headache out of workplace red tape. What we do goes beyond cleaning. That’s the Jani-King difference. Known around the world as the number one Commercial Cleaning Company, the Jani-King brand is synonymous with quality and value. The latest advancements in technology and training make our company the easy choice. With cleaning franchises Australia-wide, we aim for 100% customer satisfaction. Our Cleaning Franchisees are highly skilled Commercial Cleaners that provide a five-star service to every client, every time. We provide cleaning services to a broad range of commercial industries including Offices, Education and Childcare Facilities, Retail, Healthcare, Industrial and Hospitality. Jani-King has the expert touch when it comes to specialised commercial cleaning and essential skills are matched to the unique requirements of your business. The latest technology and training enables our professional cleaners to get the job done, and get the job done right. In designing a customised cleaning solution for your business, our trained and dedicated Office & Commercial Teams will conduct a thorough assessment and provide an accurate measure and quote. Jani-King tailors all options to suit your specific business needs, and structured processes ensure constant quality. Being a National Cleaning Company, we have the resources to provide multi-site coverage with a dedicated Commercial Support Team offering ongoing client and franchisee support. With a focus on exceeding customer expectations at every turn, we invest in strong relationships between our Clients, Office Team and Franchisees. Great results and a seamless experience make Jani-King clients happy and satisfied. It’s why so many businesses are making the move to Jani-King.